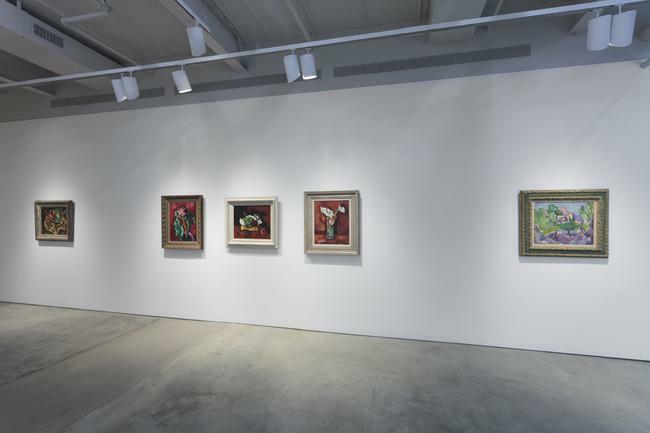 DRISCOLL BABCOCK GALLERIES presents Art is Long, Life is Short: Marsden Hartley and Charles Kuntz in Aix-en-Provence in conjunction with the Greenville County Museum of Art, South Carolina. 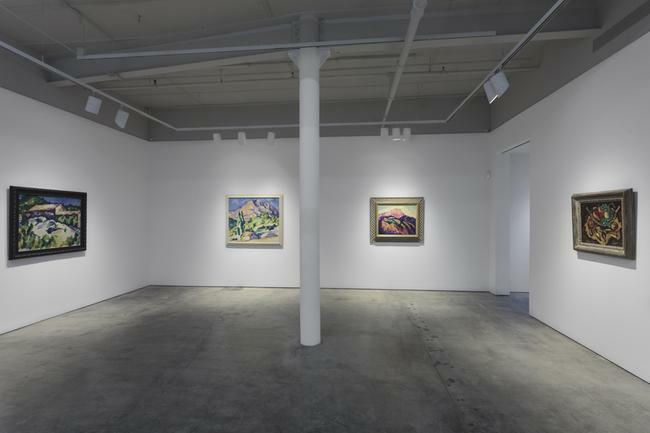 This exhibition explores the influence and originality of two artists whose paths crossed in Aix-en-Provence between 1925 and 1928: Marsden Hartley, who was already an internationally known artist and poet, and Charles “Arlie” Kuntz, a young artist who was just beginning to make his own significant signature statement in large-scale expressionistic paintings. This exhibition is the first to focus on Hartley’s work in the South of France, and it is the first ever exhibition of Kuntz’ work. It is accompanied by a color hard cover catalogue, with essays by Thomas Styron, Townsend Ludington and John Driscoll, which will contribute to the appreciation and preservation of these artists’ work. In what seems to have been a chance encounter, Hartley met Arlie and his wife, Adelaide Wallace Shaffer, in the South of France in 1925. 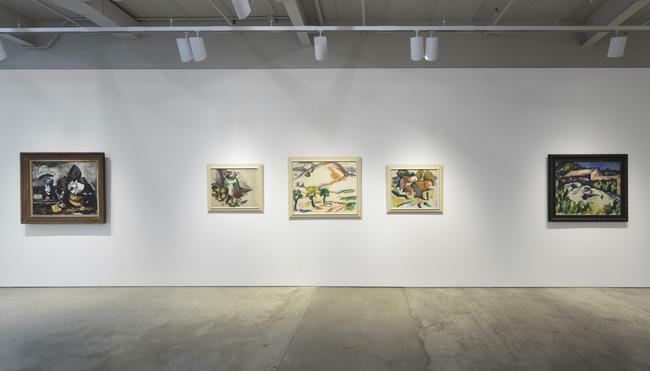 By the time they met, Hartley, famous for his pre-World World I modernist paintings and poetry, was already a central figure of elite art circles in Paris, Berlin, and New York. Kuntz, trained at the National Academy and Art Students League, was similarly gearing up for an adventurous and promising life in art. It is the staggering achievement of Paul Cezanne that serendipitously linked the two artists. Already in possession of a Cezanne watercolor, the Kuntzes convinced Hartley to move to Paul Cezanne’s hometown in Aix-in-Provence. By the spring of 1927, all three had settled together in the heart of Aix, in the shadow of Cezanne’s beloved Mount St. Victoire, where they would welcome friends and colleagues like Leo and Gertrude Stein, Patrick Henry Bruce, and Dr. Albert Barnes. 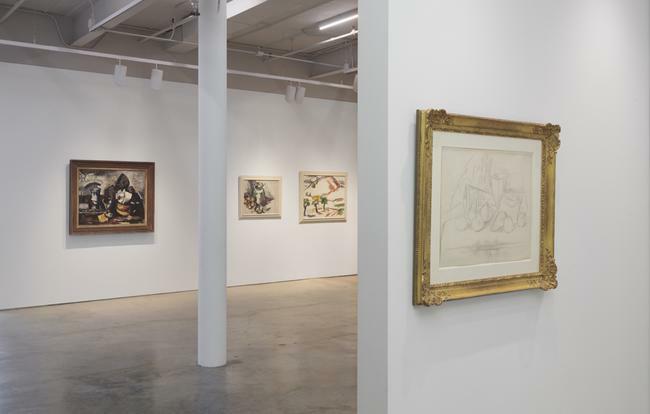 This second look at those halcyon days in the South of France was spurred by the acquisition of a group of Kuntz paintings and drawings from his late daughter. The paintings are a revelation. There is no record, in fact, of Kuntz ever exhibiting in his lifetime. Fortunately, there are paintings like Kuntz’ FRENCH LANDSCAPE, c. 1927, to demonstrate his confident, energetic, and sensitive technical skill of direct painting, and his use of expansive white ground as a formal element of the composition. Comparing Kuntz’ MONT SAINT-VICTOIRE, c. 1927, and Hartley’s MONT SAINT-VICTOIRE, 1927 immediately reveals the radical parallels and individual expressions of each artist’s negotiations with landscape imagery. Kuntz and Hartley’s rich palettes and energetic brushwork create form and depth in the way of Cezanne, while upholding, even enhancing, the flatness and directness of the picture plane. Kuntz’ CEZANNE’S STUDIO, c. 1927, and Hartley’s LANDSCAPE #29, VENCE (Chateau Noir with Mont St. Victoire in the background), c. 1926-27, both depict Cezanne’s studio in Provence, though the titles alone suggest their differences in interest (and their consequent individuality)—Kuntz, using line, illustrates structure, while Hartley, using hurried brushstrokes, illustrates organic forms. Bright, lively palettes of green, blue, purple and pink reveal each artist’s reverence for the site, with colored shadows activating even the darkest spaces with palpable movement and spirited energy. Hartley and Kuntz created an intense life at Aix-en-Provence. Sadly, thirty year-old Kuntz would be killed in a motorcycle accident at Aix in March 1928. Following Kuntz’ death, Adelaide became Hartley’s primary confidant and patron. But Hartley’s gratitude for Kuntz is perhaps the glue that kept Hartley and Adelaide together for the next fifteen years. 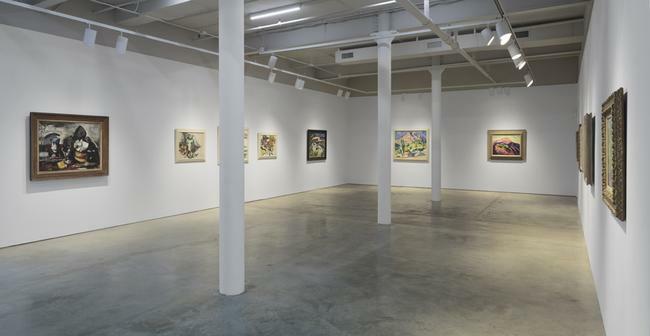 Though Hartley is well known for his memorial paintings for Karl von Fryburg, Hart Crane, and the Mason boys, his memorial to Kuntz was only recently remembered. WHITE YUCCA, 1928, with its apparitional ghost-like shapes of white petals, is a mystical essay full of iconological meaning. Adelaide kept the painting for many years and saw its inclusion in Hartley’s 1944 Museum of Modern Art Memorial Exhibition. 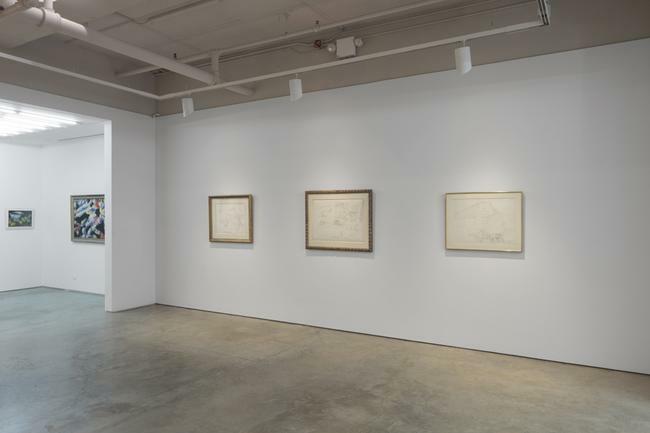 Indeed, these three lives are intricately and permanently linked, and this exhibition at Driscoll Babcock illuminates for the first time the concentric and critical influences they had on one another.